Online Cosmetic Surgery Consultation: what’s up with that? 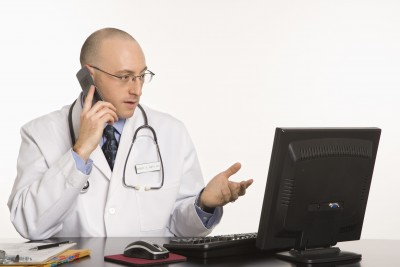 I saw a very interesting article in the New York Times (1-21-2010, page E3) recently about how many cosmetic surgeons are offering virtual online consults for patients. This article discussed how many cosmetic docs are currently offering online video consultation for patients where the surgeon and patient are connected via web cam and a telemedicine consultation is performed, frequently for a fee. A group called Surgeonhousecall.com has recruited 55 plastic surgeons to provide online consultation for cosmetic surgery. This got my mind churning about the pros and cons of this technology. If someone told me 30 years ago that I could take all of my record albums and cassettes and put all that music on my pocket sized telephone I would have thought that was a radical statement. Admittedly, when I purchased my “100 CD capacity CD player” I never saw the digital music revolution coming. We can all relate similar stories about the fax machine, email and Internet surfing. So when someone suggests that cosmetic surgeons may be someday (or currently) performing consultations via a computer screen, I must consider this plausible and possibly a paradigm shift for medicine and surgery, although it somewhat rubs me the wrong way. Medicine and surgery are historically based on “the laying of the hands” and for the last thousand years, has been practiced in that manner. Not being able to actually see and touch a patient probably makes any surgeon feel at a disadvantage. We use all of our senses to consciously and subliminally formulate thousands of impression about a patient and their diagnosis and treatment. When you think about it, a flurry of information streams through our brain via sight, touch, smell, hearing, and analysis. We lose much of this sensory input, staring at a two dimensional picture on a monitor. Regardless of your surgical discipline, there are many cases where an accurate diagnosis and treatment plan could be formulated via a video conference. Personally, I could probably perform a relatively accurate consult for blepharoplasty, facelift, skin resurfacing or Botox and fillers by looking at a patient on a monitor and talking to them over the Web, but would I feel comfortable enough with this information to meet them in the operating room the next day? Probably not! There is simply not enough sensory input to cover all the minute specifics that are imperative during consultation. Do they have lower eyelid laxity, how much of the submental excess is fat versus skin, is the skin pigment epidermal or dermal, how many syringes of filler will they need would be information that I would be lacking. I don’t think that the surgeons who advocate or are currently performing online consultation intend for the consult to be “final or comprehensive” in nature, but rather to serve as a general informational or screening tool in advance of actual personal consultation. So from that aspect, this process has merit. Whether we realize it or not, many of us are already performing some form of digital consultation anyhow. I routinely look at patient’s pictures that are emailed to me for informal discussion. It is important that I do not render an official medical opinion and I have the following disclaimer on my emails. Any correspondence should not be construed as medical advice, evaluation, or consultation and should never be considered a replacement for a formal evaluation by the physician in his office and related consultation. Therefore, the information and correspondence that is involved with this email or future emails do not constitute a formal doctor-patient relationship. If you desire to schedule a consultation, please feel free to call the office to arrange for this type of appointment. Please be advised that your own physician should approve any change that should be undertaken regarding to your therapy. Explanation of off-label services and/or products that are mentioned herein does not reflect an endorsement nor promotion and should not be construed as such. Doctors must be very careful not to construe casual opinion as formal medical consultation for numerous reasons. First of all, if you do not have a license in the state or country of the recipient you may be in violation of the law. Secondly, if you offer an opinion that somehow turns out to be incorrect or damaging, you may find yourself named in a law suit. As farfetched as this sounds, I have a friend in that exact position, so it can and does happen. Also, patient confidentially and HIPPA concerns come into effect as you never know who may somehow obtain this sometimes confidential information or pictures by hacking into your computer. Given all of these potential problems, we have to wait for medical societies, state boards, and possibly the federal government to set standards of how this activity should or can occur. Right now, the cart is in front of the horse. I was a bit surprised to see that there are some pretty well known practitioners that currently have free or paid video consultations available on their websites. This bothers me because I consider myself and my website to be pretty technologically advanced. “How did I miss that boat” was my first thought. My second thought was ” I am not sure I want to be part of that boat at this time”. It makes me wonder if doctors that offer these online video consultations are hurting for business and need this marketing tool to stay alive. It also begs the question “if I did this in my practice, when would I find the time to do this”? I already spend too much free time in the evenings updating my website, blog, etc, so I don’t want to be “seeing patients at home”. At work, I am too busy with face to face patients to incorporate this technology into an already overly hectic surgery and consult schedule. Then there is the frank reality that if this kind of thing really becomes popular, I will have to do it to maintain a competitive edge. This bothers me more than anything as none of us enjoy doing something because everyone else is doing it and now we have to! Finally, there are so many “tire kickers” out there in cyberspace that are not serious about having a procedure but would relish the opportunity to obtain a free video consult, “just in case” or “just for the fun of it. I already have too many of those in my real time practice. So I ask myself if this is a flash in the pan marketing ploy for those that are not already busy enough or is it the crest of a paradigm shift in digital medicine and in the future I will be intentionally leaving open spaces in my schedule for my “virtual patients”. I have never charged a patient to look at email images and I don’t charge for in office consultations, but if this technology becomes mainstream, I will have to be compensated for my time is some way. I am one that feels that still feels that accurate diagnosis still requires a hands on approach and that the doctor/patient relationship should remain personal. I feel that unregulated virtual consultation somehow cheapens the entire relationship. Having said this, I have always been an early adapter of technology and have in the past eaten words concerning “I will never do that” dogma. I think telemedicine is a great situation for emergency scenarios and underserved areas or populations that may otherwise not have access to care. I frequently have out of town patients or even local patients send digital or cell phone pictures to address concerns and have more than once seen an impending problem and was happy to have this early intervention opportunity. Having said this, I guess I am talking out of both sides of my mouth. In many ways being able to see a patient before an actual consult may save time for both the patient and surgeons as the proposed surgery may be out of the question and save wasting further time. Seeing post operative patients that either cannot come in for consult due to geographic, transportation or after hours may in fact head off a potential serious problem such as hematoma, infection, etc. So there is certainly merit to this technology. 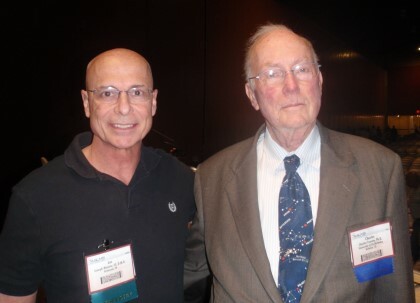 In conclusion, there is no doubt that telemedicine will become a part of contemporary surgical practice. I am not sure that want to begin seeing online consults just because other surgeons are doing it. I, again, feel that this entire process needs standardization, regulation and security before it becomes mainstream. Does a patient who gets a plastic surgeon’s recommendation before a face-to-face visit really “win?” Can poor quality video or pictures provide inaccurate diagnosis or misinformation? Will the “best” surgeons be available or just those who aren’t busy? . I also fear that virtual consultations may become bidding wars for patients to simply look for the cheapest price. To learn more about Dr. Niamtu and Cosmetic Facial Plastic Surgery in Richmond, Virginia visit www.lovethatface.com. 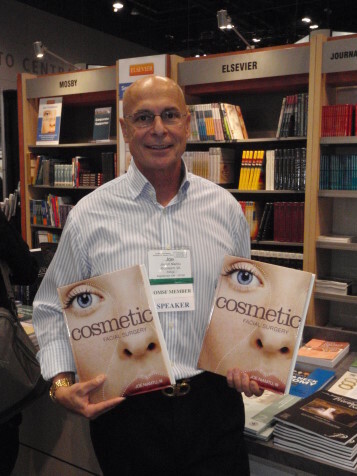 In an earlier post, I described the work involved with writing a major cosmetic facial surgery text. I literally spent 3-4 hours a day (and sometimes up to 11 hours) writing chapters on common topics of cosmetic facial surgery. Being a major text from one of the best known medical publishers (Elsevier Saunders) there is no room for short cuts or nonfactual information. Undoubtedly, young surgeons will use this text (and others) to learn how to do cosmetic facial surgery. This means that everything has to be correct and referenced. For the past quarter of a century, I have been a photography addict and it has paid off. My text will contain several thousand images in a “step by step, how to do it” format. Currently I am reviewing proofs (see picture) of all the pictures in each chapter. Each image has to be rechecked for accuracy, clarity and to check that the captions are correct. I am also knee deep in videos. Contemporary textbooks contain DVD’s in the back cover that provide multimedia instruction on the various procedures. Again, no room for amateurish movies. I purchased a high end, high definition digital camcorder and although I already have movies of all my surgical procedures, I am remaking them in high definition to compliment this detailed book. This is a task of awesome proportions. Doing surgery and doing surgery for a movie is very different. I have to narrate each step during the procedure and make sure that bloody gauze, drapes and instruments remain clean. The videographer must focus on the key aspects of the procedure. It is a lot of work but just the beginning. The next step falls on my shoulders. I must take all the raw video clips and assembly them into a movie. This takes significant editing to makes sure that the movie flows properly, has transitions between scenes and the audio is acceptable. Once this is put together, the movie must be rendered, or formatted to work on the average DVD player. This editing process takes many hours but when I view the final product it is a warm and fuzzy feeling. Having done most of the heavy lifting for this book, the next task will be to review all the text that I wrote and I hate that part. It is hard for an author to go back and reread hundreds of pages (probably over a thousand) that he or she already wrote. I am told by the publisher that the book should be available by July 2010. Too long for me, but because the unusually large amount of color pictures, the book must be prepared overseas and shipped back and forth during production. I am really excited to get that first copy as this project reperesents the most comprehensive and intense project that I will ever embark upon. Laser Treatment of Burn Scars on the Today Show: Miracle or Not? On May 28th the Today Show ran a very interesting segment about a very touching story of very pretty triplets that were badly burned in infancy and were treated with a new laser treatment to improve their burn scars. The laser was the Lumenis Encore laser and the Deep FX laser, also made by Lumenis. I have received many phone calls from excited patients who have burn scars or have relatives with burn scars, requesting the “new miracle laser that cures burn scars on the face and body”. I want to say that I have the very laser that was featured and I am a huge fan of Lumenis lasers. I also want to say that I am a bit disappointed that the general public may have come away from this feature with the idea that a huge breakthrough in burn treatment has been discovered. I truly hope that it will advance the treatment of burn scars because that would truly be a huge advancement for humanity and the people that suffer from burn scars. As a father of two severely disabled young sons, I personally know a parents heartache of seeing a disfigured child. One problem of the media taking hold of a “new” treatment is that it is frequently presented as a huge worldwide breakthrough in medical advancements. Sometimes it may be, but most frequently, these stories sensationalize these treatments and put the cart before the horse. The problem is that viewers get the idea that this is world changing technology. If a treatment is available that could truly and radically improve burn scars, it would be Noble Prize worthy, not just Today Show worthy. We have seen the Today Show (and Oprah and other shows) present such “huge surgical advances” as the Thread Lift, The Fraxel laser, the Liquid Facelift and many other procedures that sounded sensational, but proved to be almost useless, let alone a breakthrough. The key phrase with so many of these treatments is that “the results exceed the expectations”. Dr. Jill Weibel is a friend of mine and she is one of the nicest and most compassionate doctors I have met and a leader in laser technology. I believe this type of laser treatment for burns is in the really early stages of usage and that much more long term follow up must be done. A study by a university burn center with long term follow up would be news worthy. Single treatments with admittedly minor improvement (the video I saw showed one of the triplets stating that she thinks that she and her boyfriend can see a little improvement is not testimony for a medical breakthrough. I say this realizing that she has only had a single treatment and perhaps more improvement will be observable with additional treatments. I hope this is the case because Lumenis is a credible company that would love to be part of such a break through. I do think, however, that the “miracle” hype on this story is premature and has been presented in too much of a sensational way. The only bad thing about this is that it can lead the tens of thousands of burn patients to think that something has arrived to change their life. I wish it were true, but I personally don’t think it is. I really want it to be true. Too often the media sensationalizes medical treatments and the public gets misled. I am not expecting this treatment to be as sensational as presented and it is my fear that like the numerous patients that have contacted me that thousands of others around the country may be given false hope. My phone rand many times after this story ran and I too have used the Deep FX technology on scars. The thought of improvement with the new is exciting but it is too early to brand it as a “miracle”. As academic surgeons like Dr. Weibel and others continue to blaze new trails with this type of fractional laser, the cosmetic treatment of burn scars may become a reality. The Day My Computer Broke! My trusty and faithful laptop has been acting up ( I curse Windows Vista) for several months and it has been getting slower and slower. I finally could not take it anymore and decided to format the hard drive reload everything and start all over. I must admit that a big part of me simply wanted to drive over the Apple store and by a new Mac, but I am not sure I am ready to make that jump after 20 years on the P.C. So…..I was up till the wee hours of the AM, reloading all my programs and trying to get my email program up (you all know we can’t live without email). Everything was loaded and I had to get up early (before my usually gym workout) and make some minor tweaks, then off to work. When I got to my office my computer gave me bad news. I would not load the Windows Vista update and keep turning on an off and was in a cycle of death. To cut to the chase I handed it off to a computer professional and went back to my world without a computer. I had tons of time as I was not stuck to the giant magnet on my desk. So, I cleaned my desk off, and began going through the piles of journal articles that I had accumulated in the “someday I’ll” pile. The “someday I’ll” thing is that we all tend to collect things with the best of intentions, kind of knowing that we will probably never get to them. Someday I’ll…..read this book, read these journals, clean out this desk, return these calls, clean out my picture files, etc. The problem with “someday I’ll” is that someday never comes. So, anyhow, I finally got around to the list. What a great day, I had all this time because I wasn’t on the computer. Still felt guilty about all those important junk email awaiting me, but I plowed through 8-10 journal articles and I really learned a lot. I couldn’t can them to PDF files and I could not add notes to my Outlook notes, but nonetheless, I learned a lot. I cleaned out my desk. Found two gift cards and some old messages that somehow got stuck in the drawer. I got all of this done and still had time, so I went over and had a conversation with my partner whom I generally never speak with because we were both busy. Then, I still had free time between patients, because I wasn’t on my computer, so I did something I never do, I went to lunch! I usually catch up on work or try to sneak to the gym, but today I had time. At the bottom of the file were some of my office forms that I have been meaning to update so I did that and redesigned my office cosmetic brochure…..with a pencil of all things. (was really missing my computer now). I have a TV in my office and sort of listen to news programs in the background. I heard that the Pope was asking the faithful for high tech fasting for Lent. That means giving up the Internet, or the iPod, etc. Lucky I am not that religious as just one day without the computer was killing me! In conclusion, without a computer, I had a lot more free time. The downside is that I was cut off from the outside world. The other downside was that I could not do anything real creative because I could not access my patient pictures or Photoshop. I also could not work on my textbook that I am writing which has consumed much of my life over the past month and will continue to do so until its completion. What I did have was a “time enema” of sorts. I simply seemed to have much more of it. It made me think about how much time we all waste keeping up with friends, deleting junk emails, watching funny videos and yes, sometimes doing work. It also made me think that perhaps I should simply shut the computer down for an hour in the AM and an hour in the PM and do some of that menial “someday I’ll” work. I tried to imagine how I got along without a computer for the first 80% my life and I can’t remember how it used to be. I really missed my trusty laptop, but tonight my wife and I are going out to eat and I won’t be working on my textbook tonight. Ahhh…the good old days. I must admit that after work I borrowed my nurse’s notebook to write this blog. Withdrawl is hell!